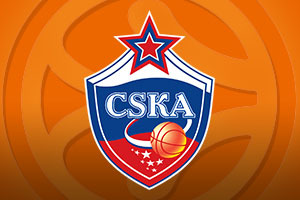 Spread Pick: CSKA Moscow with handicap -5 at 1.90 Over/Under: Over 157 1.90 Bet Now! Maccabi Electra Tel Aviv are finding out something that sports fans have always known and that is everyone is desperate to beat the champions. Last season, Maccabi were a bit of a surprise package and while teams gave them hard games, they were just an ordinary opponent. This season, there is an extra level of hunger and desire in the teams that Maccabi face, and this has ensured that the reigning champions have endured a slightly tough time of late. It is not as if a 4-2 record is a disaster but they are sitting third in Group B and they are coming into this game facing a team with a 6-0 record. CSKA Moscow have already booked their passage to the Top 16 but the Russian side will still be looking to finish as high in their group as they possibly can. This means that it is unlikely that they will drop their performance levels too much in Israel and the chance to defeat the reigning champions on their own turf is likely to appeal to the Moscow team. When it comes to average points scored per game, CSKA holds a slight edge. The Moscow side can boast of having grabbed 89.16 points per game while the Maccabi average is 79.66 points per game. Average points don’t tell you the full story but with close to 10 points of a difference, it does look as though Moscow is by far the sharper side. The top average points scorer for the two teams is Milos Teodosic, who can boast of 17.4 points per game, and Milos can also offer 8.4 assists per game. For Maccabi, Devin Smith has the best record with 15 points per game, and also an average of 7.4 rebounds per game, while Brian Randle offers 14.6 points per game and Jeremy Pargo provides 14.5 points per game. If you are keen to make the most of this betting opportunity for Thursday night, why not open up a new account with 10Bet. At Basketball Betting, we aim to provide you with the best basketball betting service, and we can provide you with a free £5 bet at 10Bet. This means that you can get involved with the action without spending too much money. We can also help you keep up to date with the action because there is live streaming on offer for the Maccabi versus Moscow match. These two teams have already clashed this season, back in Round 2 when CSKA Moscow grabbed a home win by a score of 99-80. This meant that the points total was 179, if you are interested in keeping tabs on the Over/Under market. 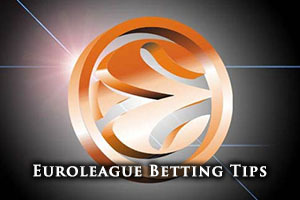 While the reigning Euroleague champions will be keen to avenge this defeat, it may be a tough match and this is why we are going with CSKA Moscow with a -5 handicap with odds of 1.90. If you are intent on following up the Over/Under market, we believe that going Over 157 will be a sensible bet. Bet Now!